Marrickville Garage is an artist run space running out of our garage in Marrickville, an inner west suburb of Sydney, Australia. Open: Various hours, usually one weekend a month. Contact us to confirm. Our address: 28 Leofrene Ave, Marrickville, NSW 2204, with the entrance to Marrickville Garage on Riverdale Ave.
“We” are Jane Polkinghorne and Sarah Newall, two Sydney based artists. Our aim is to provide a free alternative project space that sits between the studio and the gallery, engaging with new experimental work at the interesting point between process and resolution. We opened with our first show, +1, on Friday 1st February, 2013 from 6-8pm. 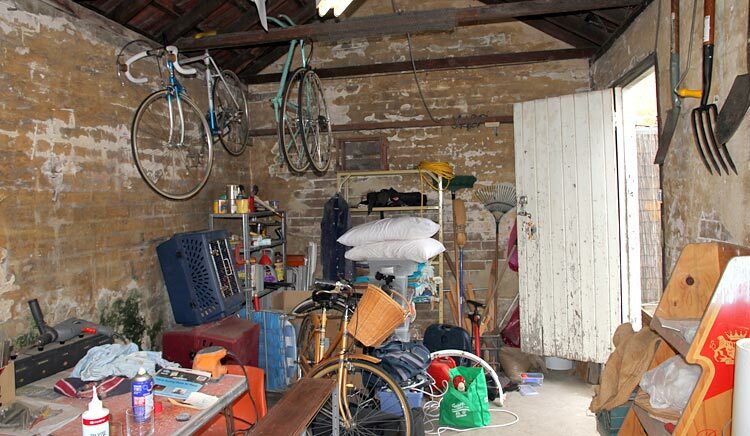 Our garage started out like this…. 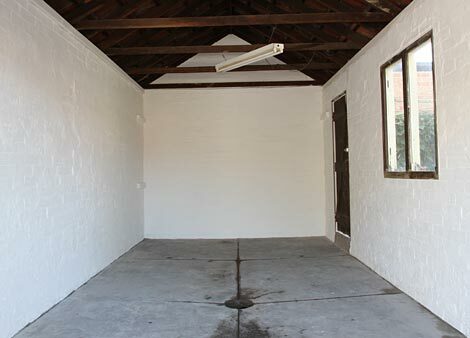 After a couple of weeks scraping back render, patching up mortar, cementing, sanding and painting Marrickville Garage now looks like this … all cleaned up and awaiting its first show ‘n’ tell.